Nikki Heat and Jameson Rook are together again, facing an unsolved murder mystery that has haunted Nikki for ten years. NYPD Homicide Detective Nikki Heat arrives at her latest crime scene to find an unidentified woman stabbed to death and stuffed inside a suitcase left on a Manhattan street. Nikki is in for a big shock when this new homicide connects to the unsolved murder of her own mother. Paired once again with her romantic and investigative partner, top journalist Jameson Rook, Heat works to solve the mystery of the body in the suitcase while she is forced to confront unexplored areas of her mother's background. Facing relentless danger as someone targets her for the next kill, Nikki's search will unearth painful family truths, expose a startling hidden life, and cause Nikki to reexamine her own past. Heat's passionate quest takes her and Rook from the back alleys of Manhattan to the avenues of Paris, trying to catch a ruthless killer. The question is, now that her mother's cold case has unexpectedly thawed, will Nikki Heat finally be able to solve the dark mystery that has been her demon for ten years? I give the book credit for being better written with a smoother narration and story progression than previous books in this series. It even has a fairly good premise to spring the crime thriller from, which was pretty intriguing. Characters' development and interactions are still quite bland and some of the jokes managed to start getting a little tacky, though. And, unfortunately, the book's story itself starts to feel stunted at certain scenes, and you can absolutely feel the book's attempts at being "bigger and badder" than previous books. And so, in the end, you end up getting a story-line that feels like a long drawn out made-for-TV-movie with lots of twisty turns and over-the-top devices that just didn't seem to mesh well with the simple murder mystery that Frozen Heat had started out with. Instead, every newly revealed secret and every additional twist made me wince and think "Wow, aren't we trying a little too hard to make this book something of a New York Times' bestsellers level?" The basic story-line begins with the dead woman in a suitcase belonging to Nikki Heat; which leads to the resurfacing of the murder of Cynthia Heat, Nikki's mother. And as Heat and her team (plus one Jameson Rook, writer extraordinaire) dig further into both murders from the present and the past, secrets are revealed that connect to something much bigger than Heat could have anticipated. And then the next thing we know, we're dealing with assassination attempts, international espionage, U.S. governmental alphabet soup connections, things of betrayal, and more police politics to top everything else off. It just all ended up being much bigger than it needed to be, but I have a feeling that the particular Richard Castle ghostwriter who took up this installment of Nikki Heat had been aiming for something grand and larger than life. It almost felt comedic, sort of like one of Jameson Rook's out-of-this-world conspiracy theories that he likes to throw out there as jokes. The ideas are entirely plausible, they all tie together in the end, but they honestly are hard to take seriously. 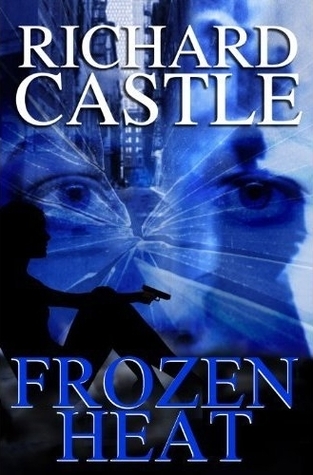 I get that this book is supposed to be a TV tie-in for Castle, and I get that during this installment, we're also coinciding with Kate Beckett's own investigation into her mother's death. But I also get that, in the end, the Nikki Heat novels are little more than advertising gimmicks for the TV series. I give the books a bit of leeway mainly because I know the purpose for their existence; in that sense, I don't mind the underlying gimmick. This review was originally posted at Ani's Book Abyss / BookLikes in August 2015.